Have you ever asked yourself what are the odds of building a profitable blog? How long will it take to earn a sustainable income? While I do know some people earning up to to $100,000 per month (like Pat Flynn) through their online business, I have not delved into the percentages of just how many people who tried had made it that far. I will cover one of the most profitable and long-term method that has made several millionaires. 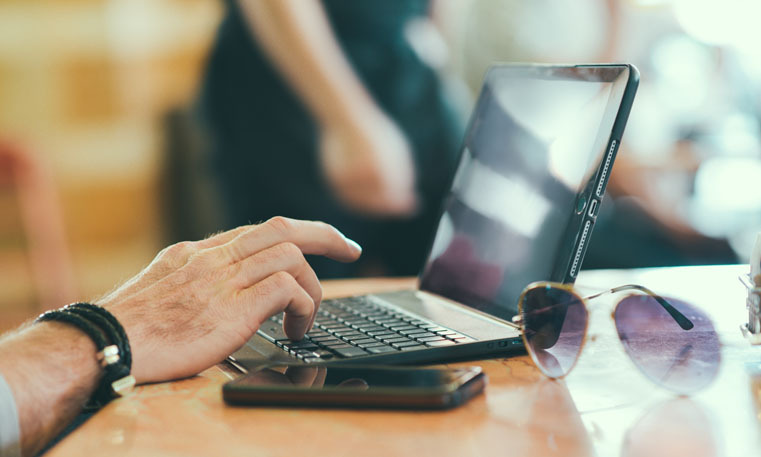 In fact, 57% of marketers believe they have gained customers simply through blogging. Most of the time when you ask “how long will it take for me to make money through my blog?” you’d get vague replies like: “2-3 months… (Insert personal experience here)” and no real numbers to back them up. While it definitely varies from individuals because a lot of factors comes into play: your online standing, your level of expertise, your niche so on and so forth. I want to give you another take on the question with various statistics about blogging (or the blogconomy). How likely are people to buy from blogs? How many bloggers succeed in earning a full time income? How much can blogging make? Can you build a profitable blog? So here’s for Dave, and you. There are over a hundred million blog readers, more than half of internet users search the web before coming to a buying decision. There are profits to be made. But it didn’t happen overnight and less than 5% of bloggers earn more than $10,000 per month. I would guesstimate that a blogger who started blogging 2 months ago would have made $0 and pageviews would be between 10 and 50 per day. On the flip side, some managed to make a full-time living from the comfort of their couch. What it really takes to build a profitable blog at the end of the day is consistency. A great blogger is someone who can keep their blog updated on a regular basis with hot and steamy contents. But, there is a but, they need to work on marketing efforts as well. … or simply will you be committed enough to succeed? Want to learn how to build a successful blog? Would you say that niche selection has a heavy weight in success? It seems like there are a ton of finance blogs but it’s hard to know if smaller niches unrelated to profiting from blogging could be successful. My niche is parenting and new moms. What great stats on everything blogging. I like to think I am in the right place to learn more about blogging and keyword research etc and I do believe that good quality content is king. I notice my traffic is moving up slowly but as others say it only takes a couple of posts to take off. I think if anyone keeps at it, consistently (like anything) it will be worth it. Great article! When I sit down to write on my blog I just try to focus one one thing, help my readers. Yes, sometimes its really hard when all your effort is not paying what you expected, but we need to be strong because things can change drastically in a matter of months. For example, I was getting 50-60 visitors a day for around 5 months, then 2 articles got very high rankings and my traffic increase to 130 in just 2 months. People should always keep adding quality content, the traffic will grow as you add more content and Google trusts more your website. Your stats show that its possible to make a living from blogging, but it an take a few years of hard work. In my opinion it’s worth it! I couldn’t have said it better, Stefan. Thanks for sharing! Netp, I absolutely love your positiveness! I believe it’s really a question of consistency. As I study the greatest bloggers, all of them had hard times but none of them gave up. Great article! I never knew there was was so much statistics available on blogging / internet communications. Thanks for some eye-opening numbers. And I agree, using Wealthy Affiliate will help a blogger no matter the niche, and no matter different tacs of developing a website for the purposes of marketing and blogging. All the best, and again, thanks. Wow, I thought that I knew all it took to be a good blogger, but I see that there is more information. I didn’t know that the majority of the bloggers aren’t really that profitable. I thought it was vice versa and that everybody but myself, was very profitable. I guess that I’m not the only one who is not consistent enough. Did you start out with this problem? How did you get with the program? I know that I need to start writing a post at least twice a week, but sometimes I find it very hard to come up with something to blog about that’s related to my niche. How do I overcome this block? Be consistent and keep going is what people frequently tell me, and I will, I just need to keep my mind on it. Thanks for this input! Retha, interesting question you have here. A lot of use struggle with writing regularly. In my personal experience, I can’t write fasted than 1 post every 4 – 5 days since I have very high standards when it comes to content. What I found most helpful is to program a habit where you will be writing 1 hour a day, and on very specific tasks. Like researching, then writing your first draft then reviewing it. I found Neil Patel’s post very helpful. I have to mention that you write very good and informative content, I found myself learning very valuable statistics here. It is shocking that only 81% of people ever make more than $100 from their blog, I’m going to make sure that I am not one of those, and instead one the ones that were earning more than 10, 000 a month. That would be ecstatic, keep up the good work man! I am a blogger. and I would say that a lot goes into it. With all the blogs online, it takes a lot of work to keep up. If you are willing to do what it takes then you will have a great chance of earning good money. But there will be lots of times where you just feel like giving up. The trick is to keep pushing forward and you will get there. Great post Anh but I think internet marketing is like creative writing. About 10% inspiration and 90% perspiration. Why do some succeed brilliantly while others fail miserably? It must come down to a few different things not the least of which is luck. With all the competition out there you would have to be lucky for someone to choose your website to make a purchase on. Would you agree people need to be willing to work and learn a lot of skills from copywriting to social networking and some psychology of selling? Margaret, well said. I completely agree that you need to hustle very hard in order to build a profitable blog, you also need a lot of patience as well because online marketing is not a game of speed. It is so true, people want a answer of how long it will take them to earn money online. As you stated, it would be different time frames for each individual. Because it depends on each individuals’ experience or expertise on the given niche they are in. With the number of people coming online to make money blogging is in my opinion the easiest way to break into the money making market. I have bookmarked your site, the information you are providing is really important and quite inspirational to be honest as I have my own blog. Really well done and please keep posting more article like this, I am so grateful I found this and will definitely refer back to this in the future. Keep up the great work well done! Aww, thanks so much for the kind words, Matthew! I’m just happy to be able to help! Wao! All i can say is a Big Wao! Anh you are the man. What a huge pot of valuable content and very useful information about blogging. You information it accurate new and timely. All I can say is thank you. Coming to your last question, yes I can with consistency, and of course persistence. Again we both know how hard that is to keep up with but yet with the proven stats above, I can do it. That’s what I want to hear, keep going man! Hi Anh Nguyen, that is a lot of statistics about blogging. More than eye-opening, I think the statistics are mind boggling even lol! There are so many important information about blogging in your statistic. If I have to summarize it, firstly many big companies have realized the importance of blogging for their business. Secondly, blogging can be a great way to earn income online, but the statistic also shows that only a small percentage actually made enough full time income. This is not surprising as to start blogging is easy, but for a blogger to earn full time income, one need to treat it like a business, and invest time to perfect their craft and regularly add quality content into their blog. Great conclusion, Dominic. I couldn’t agree with you more that blogging takes a hell of a lot of time and dedication. There are unfortunately so many “gurus” and bad information out there that made you think blogging is a piece of cake and the easy way to make money from the couch. Truth is, it takes a lot of self motivations to keep going. I am sure you are up to a good start seeing how you view things! What I see in your statistics is that if I work hard, I’ll get there. The only thing I got to do is writing as much and as good as I can. If I do so, I will success one day. Do you belive so? Adam, love your energy! Blogging is certainly not easy and requires you to stick to it for an extended period of time. Things are not always in rose, but if you are willing to go through it, I am certain you will make it! It is a very interesting and useful post, you put a huge number of statistical figures, I need to go through it many times to get all the benefits out of it. As for the issue of the frequent posting, I believe that it is about the quality of the post rather than the number of posts. May few comprehensive, useful, helpful, and attractive posts will attract more traffic, rather than many other ordinary posts. Thank you for sharing such an amazing post, keep up the good work, wish you all the luck. Couldn’t agree with you more Ehab, I failed to deliver the message correctly that quality is much better than quantity as I myself work extensively on posts for over a month or more! I really enjoyed reading through the stats here on blogging. 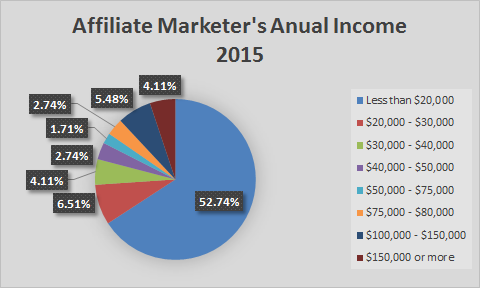 I just wrote a post about bloggers and affiliate marketer myself today and some of the stats differ a bit but along the very same lines. Thanks you for sharing this information with all of us. I hope Dave finds if helpful, as well. I actually left a comment on the page when I got to the bottom. I guess I got distracted and forgot for a minute what I was doing. I enjoyed reading your stats here. 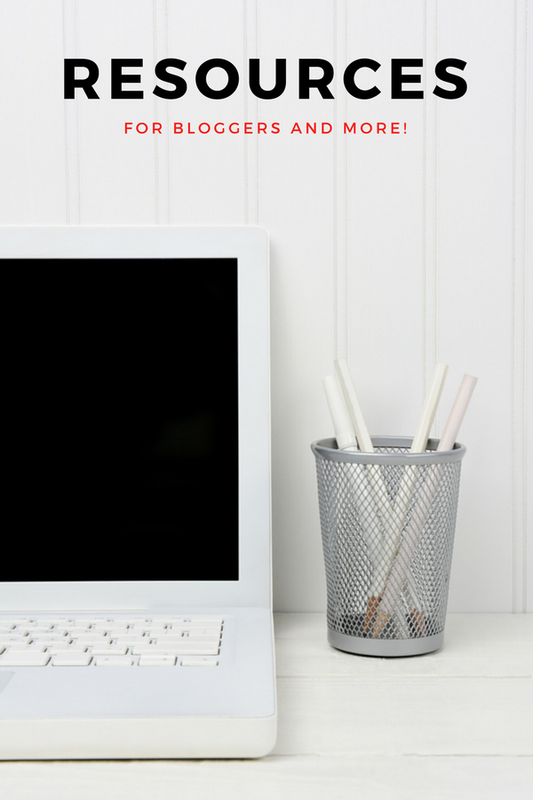 I just wrote a blog post today that revolved around top bloggers and affiliate marketers. Although I did not quote as many stats it was similar. I really appreciate that you have taken the time to set out all the statistics for all of us would-be bloggers to read for ourselves. It certainly sets out the pros and cons of the concept, and shows where I could make money if I really work hard at it. Thanks for sharing! Aww, thanks Molly. I wrote this when I was new myself and it’s part-sharing, part-learning as well! I’m not quite sure how much time you spent here. Really impressive! There are at least 23 different sources of information to produce your numbers. I love figures especially if they bring out facts that could spark new ideas and motivations. These kinds of articles can bring me to your other pages and posts to look for more information. Are these free to use? Of course I’ll be creative enough to utilize them. Thanks for piling this up. Your article is truly facinating. I recently starting blogging 3 months ago and had I know some of these statistics in the beginning I would have started working much harder from the start. I publish about 8 articles a month but now I realize if I want to make it big I have to be publishing at least 20. Thanks for such an infromational blog post. I’ll be bookmarking your site to see what I can learn from you in the future. Since I’m new to online marketing and sales I learned a lot from ths site. The statistics on blogs were insightful. It was sort of discouraging to see that 81% of bloggers never make $100.00 from blogging. However, I would imagine they quit after a sort period. This site reinforced that I have to stay with it and be smart in my efforts. Good stuff throughout the site. All the stats were really revealing. I’ll be back to absorb more. Hi Anh, I come again to your site and read again this post. I am working for a company that is still new but the website’s blog have a good place in Google search engine page for several keywords. 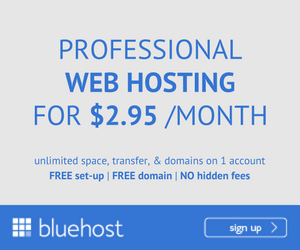 Their blog is updated almost everyday (save the weekend and holidays), and it make their website almost as authority for their niche just within… half a year. I think this proves the point no 42. I think I really need work hard to update blog daily, though. Do you think blogging once or twice a week is enough to rack up good ranking in Google Search? Hi again Alblue :). Posting great contents regularly can definitively help you in attracting more readers and keep them coming back for more (remember you can be over posting as well). For your question, you sure can. It’s much more about your content quality and promotions. And truth is, there are bloggers like Brian Dean who posts only one a month, but when he does, he delivers epic things – I am actually in the same camp as him. So my advice is to focus much more on your outreaches, building connections and create awesome posts at your own pace. It’s great to see exactly how many people have actually turned blogging into a profitable venture. So, have you found any resources I can use to be one of the 2% who are actually making a full time income from blogging? I’m happy this post inspired you, Jdoo. I found reading great blogs and taking a great online course – my recommendation is Wealthy Affiliate – helps a deal. 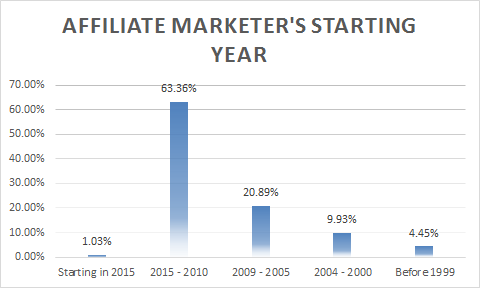 This is easily some of the best statistics I’ve seen within any affiliate marketers blog. I think when it all comes down to it, what this really tells me is that making money as an affiliate is very achievable. I can tell your right now that the main factors for success of any blogger is patience and consistency. As you mentioned, no two bloggers will make the same income. Every site is different in their own respect. But the one thing that we all share in common is the fact this income can be consistently scaled. If you can focus on increasing traffic and getting better user engagement on your site, then success is nearly a guarantee. My main advice for any current bloggers out there, is to not give up. With the right mindset and patience, anyone can do it!! Wow awesome list here Anh! I always Google various websites for the statistics and its very time-consuming to find even one! I can only imagine how long it might have take for you to compile all of these, a week perhaps? I’m always writing about the blogging industry and I love to quote stats, guess I’ll be coming by your site even more from now on. Cheers! Happy to hear I can help, Riaz! I don’t remember exactly how long it took me, maybe a week, yes. I am pretty insane about making things perfect so that’s normal for me, ha ha. I enjoyed reading your article on Blogging Statistics. I quit my traditional jobs to stay at home after a family tragedy. I started this past April 2015. A couple statistics were rather disheartening. For example, according to your chart, a huge percentage of bloggers (52.7%) make less than $20,00 a year. And only a very small percentage make above $30,000. I think one takeaway that we can say is if you are wanting to earn a full time income from home, you will need to diversify. Another words, do not rely on blogging alone, Do something in addition to, such as drop shipping or website consultation or selling books online. I own multiple websites and getting ready to publish another one very soon. I am trying to have multiple niches for work from. I also provide website design consultation for a fee to other web developers. And yes I try and make money through affiliate marketing and blogging too. I also found reading great marketing blogs to be very helpful. Statistics can be humbling, but that doesn’t mean that they can’t also make you want to push forward and become something greater. If half of the people look for information before they decide to buy and item just as the post said it is possible to make a living blogging. One of the hardest things for me is sticking with something even when I feel as if it’s going nowhere, but that is something that I am going to have to overcome and better sooner than later. Thanks for this post. I bookmarked so I can come back to it and motivate myself. I am happy to hear this post motivates you, Ladrunner! It can be hard to push forward sometimes, what I found helps a lot is to do something you like. Not something you think you like, but something that you feel happy doing. Of course, you can build a profitable blog and these statistics prove this fact. I’m also living proof of it. But running your own blog requires time and dedication and it may be profitable only after months of your continuous efforts. Not everyone is willing to put so much effort before they see real results but those who put the effort they get the profit. Very encouraging post and I believe after reading it some of your visitors will want to start their own blog too. Thanks Rufat. I agree with you that blogging requires dedication and effort. Wow, This has been one of the best blogs I read recently. Also because it is tied to my question and my interest. I’m fairly new to this blogging world and it’s very encouraging but also gives me a bit of worries at the same time. Awesome work on gathering all those stats. I believe all pursuits are trial and errors. And it boils down to who will keep pushing through and who will bail out. Definitively, Joon. If you focus and keep moving forward, I believe you will definitively make it! Actually, I am gathering a pretty big article about the best tips to blogging and I hope that will help answer some more of your questions. This site is really powerful and you give great tool for those are who struggling with creating blog. Getting traffic on a blog is really quite difficult for beginner and I just have few of your content and I also have a question if you would talk more about getting more traffic and teach us to be successful in blogging and come up with creative content. Define “BLOG” in your eyes. When you’re talking about blogging, are you meaning literally having a blog roll, or are you also referring to content people create on their niche websites, whether they are blog posts or pages? I love statistics, especially related to something I’m doing or really interested in, and this post of yours is absolutely drenched in great stats! Must have taken a lot of research. Thanks so much for sharing this. Patience, time and regular effort will get us there in the end. I am a blogger myself, and I didn’t actually think about the number of the statistics, which I discovered to be mind-blowing after reading about them in your article. I also get asked quetions all the time on how long it was until I earned money from my website, and to be honest, there are many factors to consider. All bloggers have different success rates! Always happy to help, Neil. This was one of the most helpful and motivational posts that I’ve read in a long time. The data on how many bloggers are actually profitable was actually very helpful, especially learning that more than 1/2 of the people who blog never make any money from in and that 61% of US consumers have bought stuff based on blogs. I did not expect those kinds of statistic. I plan to go back to this blog a few times in order to learn more. Keep me posted! Awesome to hear from you, I find statistics quite fascinating in some senses too! Hello! I read these statistics and felt a bit tired. To be honest, I do not blindly trust all those numbers. I read with interest the comments, and also without having read all the way down, because of partly recur. This post left me feel a bit bitterness but its ok. All of us need to feel such taste. Some years ago I earned with adsense on EMD. Now, this method do not work anymore and I know why. I’m trying to follow the steps prescribed in WA which, I suppose, is the best affordable IM learning place at present moment. Also I know that $$$ is in a real distance. Andrejs, I am glad you are motivated to get on with your goals. 🙂 I am also learning as I go and hopefully will have more positive experiences to share. Wow, you sure did you due diligence for this post! What a bucket of useful statistics! I am going to use this to help figure out a decent schedule to post my own. 20 a month sounds do-able to me because of my current circumstances. I’m glad to have caught that because I thought that number was at most half. Thanks again for the post and keep on keeping on! My pleasure, Brian. Will do! Bill, I take a lot of time to write my posts actually. As many have pointed out in the comments, it’s not about posting often but regularly. Personally I would spend 1 – 2 weeks on each post (I also work a day job) and would do all the researches and edits until I am satisfied with it. After I publish, I will go on a spree to promote the post before starting to write the next one. I am very happy I found your website. I never have seen the actual stats for online marketing. The internet is a huge ocean that lots of us swim in. I would love to be one of the big fish 😛 I was kind of sad to see that most people do not go over 10k. But that also it motivation… I will be one of the ones who make it. Thanks for the info! Wow, you noted tons of facts. I even read all of them. Looking at the stats, it almost would discourage one from blogging, but I think the numbers are so low because bloggers lack some essentials, like, motivation, support, training, coaching, patience, and good work habits and ethics. I will say, It does take time to start earning revenue, which is the major downfall to blogging. However, if someone has the time to start strong then he or she could have 54 posts up in a couple months; that is, if there is already have an understanding in the niche. I enjoyed this post, keep them coming. Blogging is certainly not as easy as some made us believe â€“ I believe if you enjoy it and put your all into it, you will definitively see results. This article is great! You give awesome statistics that are so helpful for anyone that would want to get into the business or just the fun of blogging. For a lot of people blogging can be a great way to spread all of the information that you know! A lot of people are experts in a certain topic and they want to help people but they have no way of sharing! This is a great way for people to share their knowledge and make money at the same time! This can be a very lucrative business for a lot of people. Thank you again for all the information not only are the great and helpful statistics they also are very important for someone just getting into blogging. Awesome post, I like the statistics part, I find that it is the only proof that something is working, and the most important factor to look at. I’m myself running a blog, and I find this content very helpful to improve its performance and profitability. I have learned new stuff that I hope will help me increase my traffic and income. Thank your for this helpful post. Good luck, Koelner! Let me know how it goes. I’m really suprised to how a blog could be so beneficial for a business! Thank you for putting efforts in this enriching article. Thanks Ham, blogging is one of the best content marketing, as they say! l have seriously enjoyed your post showing how people make money blogging, but must say I’m surprised most bloggers do not make much money. Over 52% making less than 20,000 a year, not very encouraging. Unfortunately I’m in the 25% category who make just under $100 per month. Not very motivating given the loads of work we put into blogging. Thanks for sharing your experience, Roamy! Blogging may take time, dedication and thinking outside of the box. I am sure you will improve if you stick to it long enough! Excellent topic. I have wondered about many of these things and your statistics are extremely interesting. Looks like we can boil down several important rules from these stats: 1. Blog often and stay in the game long enough, 2. Don’t expect instant success, and 3. There is enough competition out there that can serve as learning for beginning niche web masters. Wow, well put Mike. Blogigng is definitively not an overnight job â€“ but I do believe if you put your all into it, anything can happen. Great post with real stats so people can decide for themselves whether they want to take up (or continue on) this journey!! It’s interesting to see that 81% never make more than $100… and that companies who blog receive 97% more customers on their site!! Yes, I did learn a few things, but more importantly I now have a bit of research to back up a few things I already knew and have been taking action on just from checking out your work. Nice job!. The Statistics that you used in the general blogging section was phenomenal and I am glad that I read that part as the facts were eye opening. This was a great post and I will give this article to anyone that is looking to start their own blog. Great article and keep up the good work. Your comment made my day, Marc. Love the spirit! This page is definately worth a bookmark. It’s like you’ve taken all of the most interesting stats about blogs and put them into one post. It did make me a little pessimistic thought about my own blog chances, but then again, they say to be the best at anything you need to be in that top 5%. Blogging isn’t any different it seems. Nicely said, Chris. In the online business, there are just so many hypes about how easy it is â€“ but the truth is, aside from the low start-up cost, it still requires hard work and dedication. There is a lot of useful information in this post, and I am especially glad you took the time to give your sources. It seems like this is a relatively competitive field with so many people involved in it, but 5% earning $10,000 a month is probably higher than most other industries. This definitely seems like something that I should be trying considering the low start-up costs. Do you happen to have any statistics on how many people give up on their blogs each year? It would be interesting to know whether those numbers reflect a huge turnover rate or if people tend to stick with it once they start. What a great article on profitable blog! I absolutely enjoyed these figures you presented. I especially enjoyed the part with affiliate marketing. But I have a question in mind and would be glad if you could help me out a bit. Do you have a recommendation for some program that teaches affiliate marketing? I’m total newbie and would like to learn how to make money online. Thanks a lot and hope to hear from you soon! Hi Jess, it’s my pleasure to be of help. I am also interested in affiliate marketing, especially to promote good products to others. Because as you may know, there are a lot of affiliate marketers out there who would promote products without knowledges about them. As for a program that teaches affiliate marketing, I would recommend Wealthy Affiliate, that’s where I frequent did a review of it some times ago. That’s really amazing. well done. really great statistics are found here and very practical for bloggers, I’m a beginner in this but I found a very useful number that shows 44 percent of online shoppers begin with searching, that really important especially for me to do my best to improve my rankings. Thank you so much for the post and good luck. Waiting for more useful statistics. Kaveh, I am tickled pink by your praises. I realize not all of us bloggers have the taste to nose through the statistics while it could be quite helpful to know what are the odds of you succeeding and what strategies should you opt for. I will be sure to make more interesting statistics in the future. Thank you for a very informative article. I got scared with number 25, “81% never make $100 from blogging”. It is a big number and I sure do hope I will belong to that. lol. However, I will still give it a go, there is more positive statistics here to get motivated. This is such a good read. I learned so much. 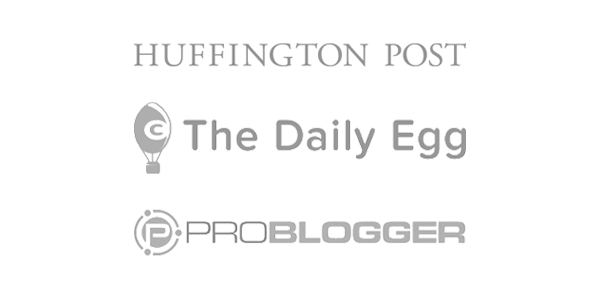 I think the reason more than 80% of bloggers don’t make more than $100 is because blogging does take effort and dedication, even the Darren – owner of the popular ProBlogger admitted his blogs took at more than 1 – 2 years to take off. I definitely believe you can achieve anything if you put enough work into it. Excellent statistics. The high earning blogs you mentioned are huge, far larger than most people can aspire to. The truth is, most lives would be changed dramatically if they could earn an extra $1000 a month. That is definitely achievable with the right training. People should read your review of Wealthy Affiliate if they are serious about making money with a blog. It can be done, but it takes time and consistent effort. Incidentally, the yellow hyperlinks in your article are difficult to read. I suggest you use a darker color. Yes, Horton. It’s better to go one step at a time while achieving your goals. Wealthy Affiliate is definitely the best resource I have found to start an online business as a blogger. Tremendously interesting read. Thank you for putting it together. While the numbers around traffic in the early stages (first few months) of a blog don’t surprise me at all the income numbers do. I would expect to see a greater percentage of blogs making $39k – $50k and less making $75k + but your research shows otherwise. Any idea why that is? RJ, I would think that it’s divided into 2 groups, the affiliate marketers who gave up too early and thoses who persisted long enough to take the big wins. I started my online business about 6 months ago. I try to post an article to my blog once a week, if not every 2 weeks. I definitely fall into some of the statistics you have presented. I have made about $12 so far. While it is not very impressive, it is still something. I do get frustrated when I hear people say that you should be making a decent amount of money by the 6 month mark. I wonder if I am doing something wrong? I don’t want to give up, but it really is a tough business and that can be seen in the stats you present. One day I hope to have a profitable blog! Simone, thank you for sharing your experience. That’s quite impressive! I like statistical analysis and this is quite spot on and eye opening. Google also likes referenced content as it is backed up by research. Those numbers are both encouraging and challenging at the same time too. I want to say I believe a blog can indeed be profit making if one remains at it, is consistent and focused, and doesn’t compromise on quality. It takes time too. None of those top ranking sites was built in one year! There are a lot of excellent statistics in this article. I especially like reading that people are coming to the internet to research products or looking to improve themselves. I am sure that most bloggers do not make a successful income, I would think that because so many people are doing it. We can not all be successful. Most people give up blogging after a year, so those of us who can stick it out for more than that are ahead of the game. I wonder if it is more profitable to make your own products rather than relying on affiliate marketing. As making your own product would give you most of the profit, it could be more profitable. However, in the end I believe it relies heavily on your marketing efforts. Now that is a lot of information to take in, I think I will be reading this a few times over. This is interesting reading though and some of the stats are a bit of a shock, and I think may a bit startling to some bloggers. I am not sure if actually posting more often is really going to make a massive difference, as long as what a bloggers post is of value then it will generate traffic over time. I think those that have really successful blogs are those that stand out from the crowd, and of course work at generating traffic regularly. A fine blog post Anh. Rob, I definitely agree with you that it’s not just about posting often. I’ve yet to clarify that in the post. I really like what Derek Halpern said “20% of your time should be focused on writing and 80% should be focused on promotion”. Very interesting post. I love blogging, so this is really great information for me! You’re right about it being difficult to get definite answers about how long it takes to make money from it. It’s taken me a long time to learn the ins and outs of blogging, and now I’m looking at starting a completely different site to make money from. It’s not a bad thing, just all a learning experience! Anyway, thanks for sharing, it’s really useful info. Hi there! Great article! I also asked that question to myself. Can I really make a profitable blog? Actually I am slowly get the process of earning in blog. Right now I am on my second month of learning affiliate marketing and it is one way to monetize your blog. However, there are several things that I am confused of. Is affiliate programs only the way that I can earn in my blogs? John, there are a lot of ways you can earn from blogs. The 3 main streams are: advertising, affiliate marketing, selling a product or service. If you are starting out, I recommend concentrating on building your traffic first and then work on making your blog profitable later. Wow Anh, what a lot of information to take on board. I was already anxious about my new chosen career but now I don’t know whether to be concerned or petrified! Ches, it could be overwhelming but I am sure nothing can’t be achieved if you persist. Talking about older generations, there is a great TED talk about “Never giving up“. Helo Anh. Thanks for valuable information in your blog. Will bookmark it as reminder what I need to do to be profitable. As I know Timothy Ferris works really hard, but diligently. He requires from himself a lot. This trait of this character let him stand out from crowd. He picks best products to promote, he chooses easiest and less required time ways to complete his tasks. He hires best people what he could find. What impresses me that he communicates with leaders, achievers, with persons from whom he can learn something new. Consistency in blogging is really pays off. More we have valuable and rich content in our websites, more visitors and Google would be glad to like us. Very interesting post and I totally agree with the advertising although I thought would be ranked number one. As for the “What It Takes” section I found it really helpful. I do have a blog and I’m struggling right now but thanks to your article, I can see why. I definitely need to start writing every day for my blog. Thanks for all the info. Emilia, I am thrilled to hear you learnt something new. Remember to put quality before quantity when you write your posts. I don’t have statistics on how many blog sites succeed. However, I would assume that a large percentage fail. Why? Because they give up too quickly. A real, honest, sustainable blog takes time and effort. It’s not a “Get Rich Quick” scheme. You present this very well. Thanks for the information. Definitely, Terry. Sometimes you’ve gotta persist to see results. Cheers! Woow! Amazing! Well done! You really rock! I think I would have to read this post few times before I import enough information, but you are definitely solving one of my biggest questions. Very very useful! I saw you made some other interesting articles, I love your devotion and thoroughness. You are bookmarked! Thank you! Branka, I am faltered by your compliments… I am here to serve! Interesting, overwhelming, encouraging and dejecting all at once…. Reading this you wonder, “Can I really do this?” But realistically, I think I’ll need to read this through several more times to even begin to digest all the information that this little page contains. I have it bookmarked as I will need time in between! Robin, I hope you can fine your answer. I know how overwhelming it can feel, it’s the same for me too, it takes a lot of time and effort to flesh out posts, work on your site design and much more…! You kinda gotta keep up at it, I guess. Darren from ProBlogger even came out and said most of his blogs took 1 – 5 years to take off. Blogging is quite a manual task that you’ve just gotta keep working on. Wow Anh! I think you answered every question someone would have about blogging and the statics behind it. Those numbers look to be spot on. I suppose you really have to be focus on blogging if you want to see a profit in return. You say you have been doing this July, so you have only been blogging for 2 months. Have you seen a profit yet? Your post make me feel overwhelmed especially as I’m new in the blogging world. l never knew there were so many blogs out there, thanks for the research and posting it. I’m just left wondering if l can make money blogging but as you say, there are 100 million blog readers out there so I’m sure there is still space for newcommers. This is a very well thought out article you have hear on blogging and the statistics. I never really knew what the statistics were on the amount of money that bloggers make. It’s really said to know that 80% of bloggers never make more than 100. Those are the people who give up… expect to make money over night and it doesn’t happen so they just give up. I am a blogger just started in May. I have come to the realization that it does definitely take time. Thanks for sharing. Tanya, very well said. I believe the same. Awesome post and excellent statistics. I thoroughly enjoyed reading the entire article. It did cut off a bit pessimistically. I write a blog and I’ll push on and realize that there are other stats out there that contribute to success too. Not taking away from your post though, this was eye opening. Thank you! Wow… I haven’t read an article as impressive as yours with all these statistics about blogging. I have bookmarked your page as reference. It’s amazing that blogging can have real potential in making money. It’s funny that 81% never make $100 from blogging. It is hard work actually. I do agree that people need to be consistent with their efforts to see a good return in their investment later on. Great article! Ha ha, Stevie. I am glad you get something out of it. I believe if you keep learning from other successful bloggers you can make it pretty far. Hi, pretty impressive statistics you give here. Some numbers are eye-opening for me. I find myself in many of your numbers, but not in those who make a descent living I am afraid. I have been in this for about 10 months now and I am asking myself what I have been doing wrong. You mentioned posting regularly, I do not think this makes any difference. And for Google this is unimportant. They made statements about this issue. But many thanks, this was very useful. I am thrilled this post was of use to you, Jovo. Blogging could be pretty tough, I think it will help for you to take a step back, analyse what you are doing, what you are getting from it and what you can do to improve the siatuation. I find doing this helps a lot. About posting regularly, I believe it would depend on the stage you are in and whether or not you are having an audience. I was talking about posting regularly (not daily or weekly) in hope the nuance will come across, but it’s still confusing so I will fix that. 🙂 QuickSprout reported he has an increase in traffic while Backlinko only post once a month, dedicating his time to SEO efforts and still has 1M visitors per month. Posting regularly simply means posting on a constant interval and not slack off, of course if you are not seeing traffic it’s important to reach out. This is indeed an interesting topic because we are often told to write more or sometimes not write at all… Thank you for pointing out.